We’re on hand to help you throughout the entire application process. So let’s get started! Click below for a full breakdown of costs and the process involved. We offer a fully inclusive package & everything you could possibly need to get you to a summer camp in the USA! If you want the BEST, go with the originals! Other companies may say they're us, but they're not! Our brand name says it all. Other companies may say they're 'Camp America', but we ARE Camp America. If you want the BEST, go with the originals! With Camp America you have the best chance of getting placed at a summer camp in the USA. It all comes down to numbers...Camp America works with the most amount of camps, have the most positions available, so we send the most people. So make sure you get a placement and pick Camp America! Camp America is a designated J-1 visa sponsor with the US Department of State. As such we are bound by US government regulation to look closely after the health, safety and welfare of our participants and we take this obligation very seriously. Camp America is directly accountable for regulatory compliance, visa application, SEVIS reporting and accuracy, maintaining our designation and participant safeguarding. Not all programs are actual sponsors. Right from the start of your Camp America experience we want you to make sure you know what to expect and make sure it's really clear the costs and process involved in getting you to camp. There are no surprises or hidden fees along the way and we'll keep you updated with what you need to do next. With headquarters in London and America, offices in Australia, Germany and Poland, plus agents in countries all across the world - we have Camp America experts to help you every step of the way! In the UK we have over 200 interviewers spread all across the country - so you shouldn't have to travel too far for your face-to-face interview. We also have a team of over 150 brand managers based on university and college campuses, so if you're studying it's likely there will be a fellow student for you to chat to about how amazing Camp America is! Everyone that works for Camp America has done Camp America - so you know you'll get real and honest advice from people who have been there themselves. 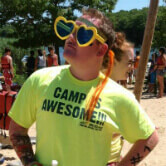 "There are few organisations that compare to Camp America. The support, advice and experience you get as part of the program are unrivalled, and it really will be the best summer of your life. I got hired only 2 weeks before I flew out in my first summer, after thinking I wouldn't get placed. Little did I know that I would get placed at an amazing camp on Long Island, New York, and that I would go on to have 4 unforgettable summers moving through the ranks up to Director!" On the Camp America programme you truly make friends for life. You’re thrown into this unique setting with people from all over the world, with little to no outside distractions. You’ll spend an intense amount of time together in what we call the ‘camp bubble’. At the end of the summer it’ll feel like you’ve known these people all your life and it’ll be weird to not see them every day! Camp is designed to keep kids entertained around the clock. There are HUGE amounts of activities on offer and by working on a camp, you’ll get to try out alot of them! From land sports to art & crafts, water activities to outdoor adventure - there are so many acitivites on offer, you’re bound to come back with a new favourite one! Camp is all about the great outdoors! Typically located in wooded areas with lakeside settings, camp is the best place to get back to nature. You’ll get to enjoy lots of sunshine and get used to living in wooden cabins. All your food and accommodation is included while you’re on camp, so the only time you’ll spend any money is on your nights out and days off! Camp is made for kids. Not only will they make your summer, but they’ll look up to you and you’ll unknowingly become their role model. It’s a cool privilegde to be a role model and at camp you’re often given more responsibility than you’d be given in your everyday life. As a reward, you do get paid for your time at camp. The amount will vary depending on your role and experience, but as a first time staff member you can expect to earn between $600 to $1200 for the summer. A summer at camp can do amazing things for your personal development! Without realising it, you’ll come back a more confident and outgoing person, with a whole new range of experiences that will look great on your CV! As part of the programme you’ll also get to travel for up to 30 days after camp ends, so the adventure doesn’t have to end with your camp placement. Travel in general will broaden your horizons, but an entire summer with Camp America will do more for you than any other travel experience ever could! The Camp America programme really is hassle free! We take care of all the difficult stuff, so you don’t have to worry about it. All you need to do is follow our guidance and we’ll take you on a summer adventure like no other! Home > About us > Why Choose Camp America?